Blockonomics started as a wallet watcher and blockexplorer in 2015, and has been continuously innovating with the latest in Bitcoin technology. Blockonomics is a decentralized and permissionless Bitcoin payment solution, where our services enhance the functionality of the wallets you already own. Our goal is to continue allowing you to accept Bitcoin directly, whether you're invoicing, receiving donations, or running an e-commerce store. We strongly believe the power of Bitcoin is in decentralization and cryptography. Blockonomics started as a wallet watcher and blockexplorer in 2015, and has been continuously innovating with the latest in Bitcoin technology. 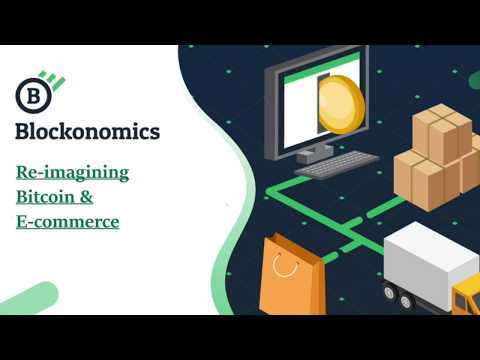 Blockonomics is a decentralized and permissionless Bitcoin payment solution, where our services enhance the functionality of the wallets you already own. Our goal is to continue allowing you to accept Bitcoin directly, whether you're invoicing, receiving donations, or running an e-commerce store. We strongly believe the power of Bitcoin is in decentralization and cryptography. Blockonomics Contributors will receive a 20% bonus during the presale period. The key selling point is actually very commercially attractive. Yes, it could be a simple solution, but key is to execute in the market to make it work. I will watch this for with measured progress. I like olny the vision but it's not something new in Crypto market. After all, I don't think it's a worthy investment as they plan to raise 7.5 Mil USD. More e-commerce integrations - Shopify, OpenCart, ZenCart, Wix etc. BlockExplorer and blockchain improvements - Accurate confirmation estimates for mempool transactions. Graphs and charts to keep track of blockchain data. Native altcoin support for Litecoin, Ethereum, and Bitcoin Cash - Enhance the customer experience by accepting altcoins payments together with Bitcoin. Track all coins from same dashboard. Lightning Network integration - Easy integration to receive Lightning Network payments on your website. Receive payments as low as 1¢ without any overhead. Zero confirmation payments - Accept zero confirmation payments using our special API that detects possible double spends with high accuracy. Send API with multisignature wallet - Secure and robust API to programmatically send crypto payments.